This video covers our top five tips for repurposing your video content to improve your ROI and get the most from every video project. Great video is never a one-off. Truly excellent content can, and should, be a reusable resource that lives on long after fulfilling its main purpose. When you create a video you should always be thinking ahead to how you can maximise your returns. I’m going to talk you through our top 5 tips for repurposing your video content and improving your video ROI. Social media is a place where short and snappy is generally better. Even if a video isn’t ideally suited to be shared on Facebook or Twitter, try creating an edited version that’s much more likely to be watched, appreciated and shared by your audience on social. For example, you can turn your full event video into a short highlight reel. Or cut your 5 minute case study video into a shorter version with an outline of the project and some key testimonials. 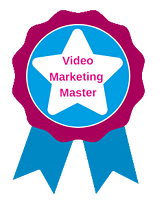 Say you’ve just created an awesome video for your marketing campaign. It could be a case study video, an explainer video or a how to video. As long as it maps to a need in your audience, you should be passing it onto your sales team. Make sure your salespeople feel empowered to use the video content you send to them. Explain when you’d share each one with a potential customer — for example, how to videos are invaluable to help answer your clients’ questions and build trust, whereas video case studies are perfect to use when a customer is deciding between you and your competitors. If you’re always going to events and never seem to have any content to hand, you should definitely consider using your latest promotional video or brand film. You can give a memorable introduction to your business as well as getting extra use out of your video content. Whether it’s your own event or someone else’s, an eye-catching video can help you stand apart from the competition. Even if you need to alter or edit your video slightly to make it more relevant, it’s a quick and simple solution when you’ve got an event looming. Once you’ve created some video content, you’ve got a tailor-made selection of footage to turn to whenever you need a shot of your office or a testimonial from a client. This can help you create additional spin-off videos with maximum efficiency. Use an interview with your senior team in a video about the history of your company. Create a roundup video from lots of different case studies. Use footage from your events or team away days in your recruitment videos. Video is just one medium to communicate your message. You can take the same essential content and transform it into any other form, which is a useful way to multiply the number of marketing resources you end up with. For example, try turning a how to video into a blog post. Turn a case study video into a podcast. Turn an explainer animation into an infographic. And always keep stills and transcripts of your videos so you can use the images and copy across your website and in other marketing collateral. There are almost an infinite number of ways you can rehouse your videos to make them go even further. So those were our top 5 tips on how to repurpose your video content to get the best ROI possible. Always keep in mind that your videos are long-lasting resources which should be used again and again to delight your customers and support your team.